Make someone's Christmas this year , our sensory santa will come and visit your home on a date of your choice throughout December in his sensory Christmas grotto and provide a sensory toy for your stockings. 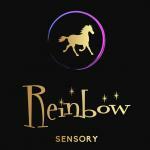 Become instrumental in driving Reinbow forward. Please contact for more information.